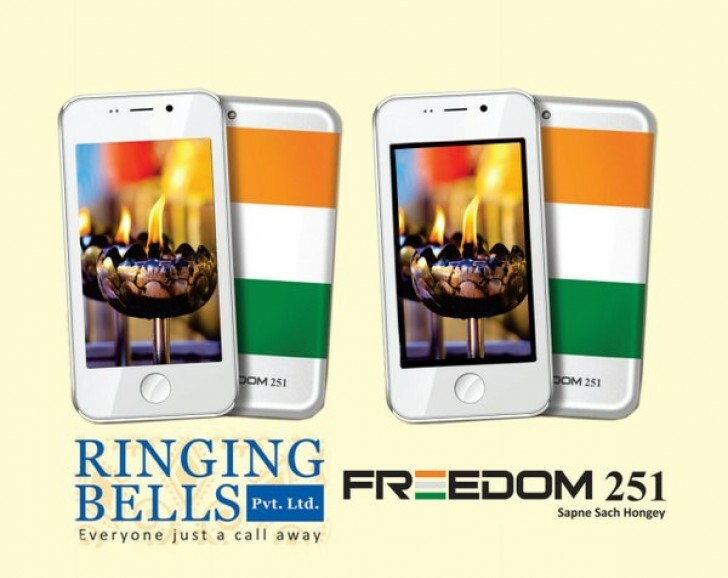 Ringing Bells, the Indian smartphone manufacturer company has launched the world's cheapest smartphone Freedom 251 at Rs 251 ($4). The smartphone can be purchased from the company's website (freedom251.com) starting from February 18, 2016. 1) A 4-inch qHD display with 960x540 pixels resolution. 2) Powered by a 1.3 GHz quad-core processor and promises to deliver a smooth and lag-free performance. 4) 1 GB of RAM and 8GB of internal storage which can be extended upto 32 GB using a microSD card. 5) A 3.2 mp rear camera and a 0.3 mp front-facing camera for selfies. There is also flash support for low-light photography. 7) Some preloaded apps useful for women, farmers, fishermen and general users. It also has social apps like WhatApp, Facebook, YouTube and also access the other apps from the Google Play Store. 8) A 1,450MAh battery, which will last a day on single charge. 9) A 1-year warranty and Ringing Bells has 650 service centers across the country. 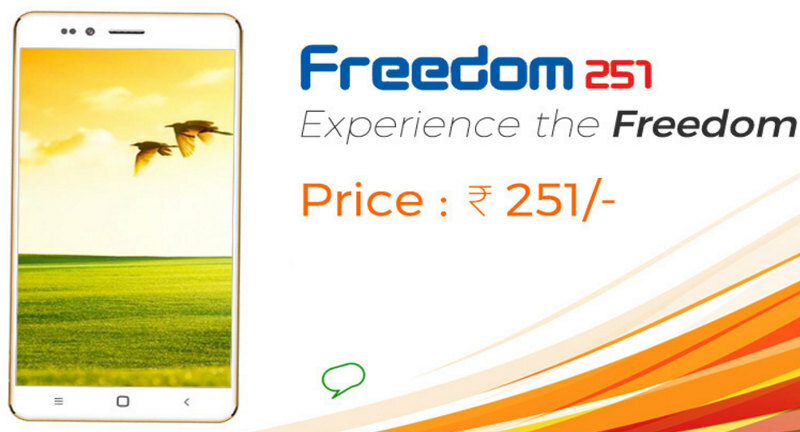 10) The launching of the smartphone Freedom 251 as a part of the Indian government's Make In India Initiative.